As we continue to innovate across Microsoft with our customers and their digital transformation needs in mind, customer service and customer engagement are a top focus. and 90% of global consumers expect a brand or organization to have an online self-service offering. For this reason and others, we are excited to announce that Microsoft Dynamics 365 for Customer Service has been named the winner in the web support category of the 2017 CRM Magazine Service Leader Awards. In the 2017 awards, Microsoft Dynamics 365 has also been recognized with a 2017 CRM Magazine Service Leader Award in the customer case management category. We truly appreciate the recognition Microsoft Dynamics 365 has received in this and other early 2017 awards including the CUSTOMER Magazine Product of the Year Award, the 2017 CRM Watchlist Elite award and two Stevie® Awards for Dynamics 365 for Sales and Dynamics 365 for Customer Service. 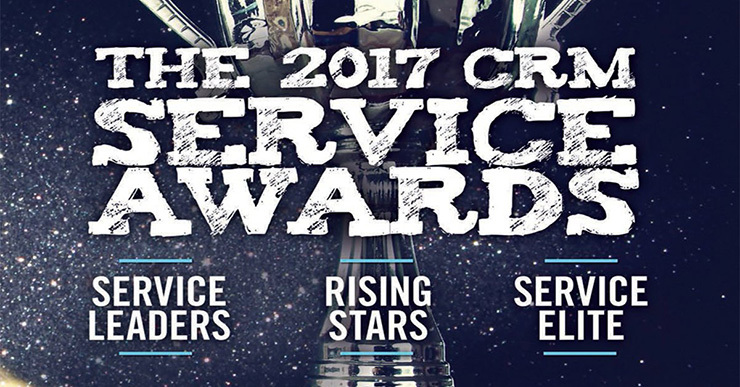 The CRM Magazine Service Leader Awards are especially meaningful as they are judged by a panel of industry analysts evaluating on criteria which include reputation for depth of functionality, reputation for company direction, reputation for customer satisfaction and five-year cost for software and maintenance. This recognition is truly a great motivator as we continue to invest and move forward in innovation for our customers – and for their customers.